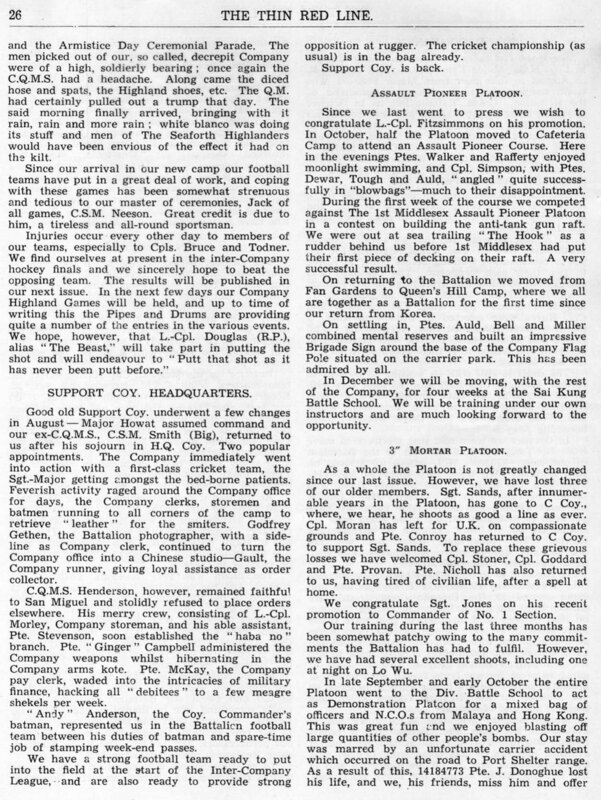 He then invited the officers, warrant officers and sergeants of the Middlesex Regiment and Regimental Depot to be Honorary Members of the messes of the 1st Battalion The Argyll and Sutherland Highlanders and Regimental Depot at Stirling Castle. In accepting, Colonel Browne said he thought such an honour must be almost unique if the differences of nation were remembered. 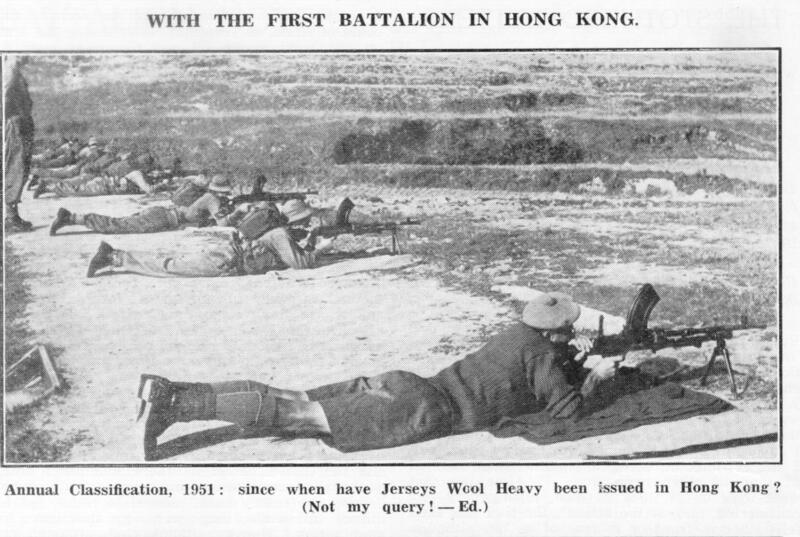 The Battalion returned to Hong Kong with 22 officers and 612 other ranks. 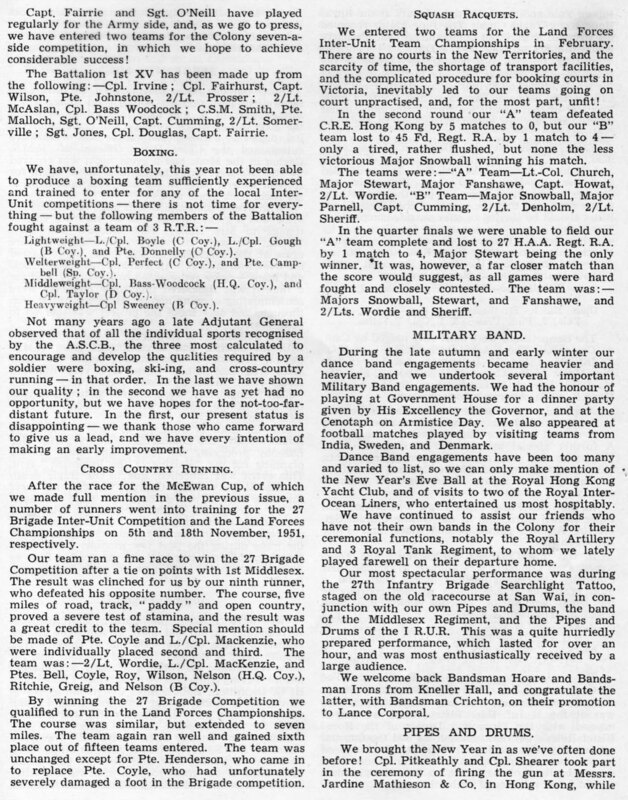 5 officers and 109 other ranks were transferred to the 1st Battalion K.O.S.B. before leaving Korea. 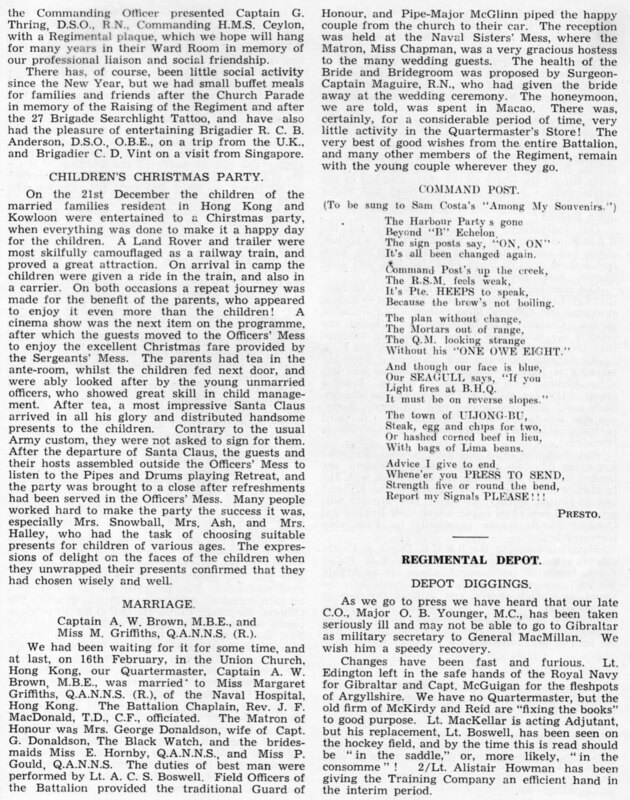 On arrival, 1 officer and 125 other ranks, sick and wounded, rejoined, and 1 officer and 86 other ranks left behind by the K.O.S.B. were posted. 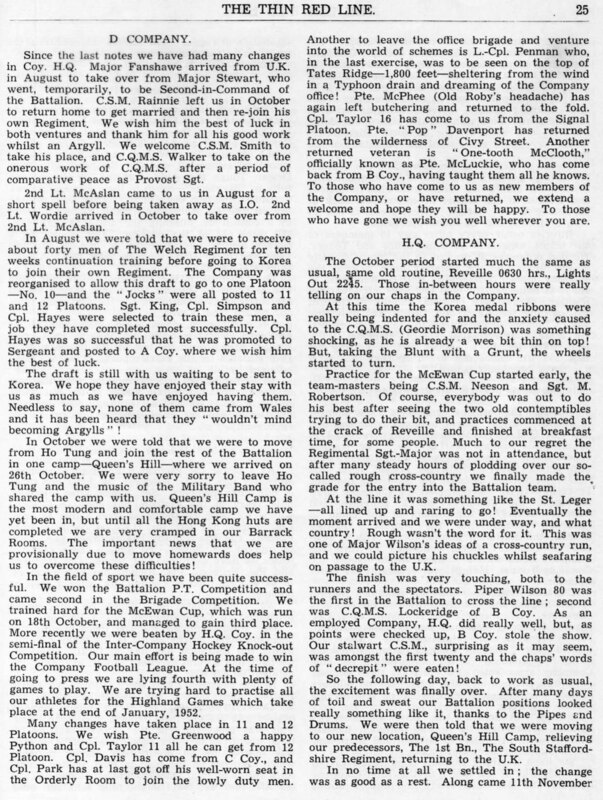 Volunteers from other units, who had joined before the Battalion left for Korea, were returned to their parent units, leaving in the Battalion 30 officers and 645 other ranks. 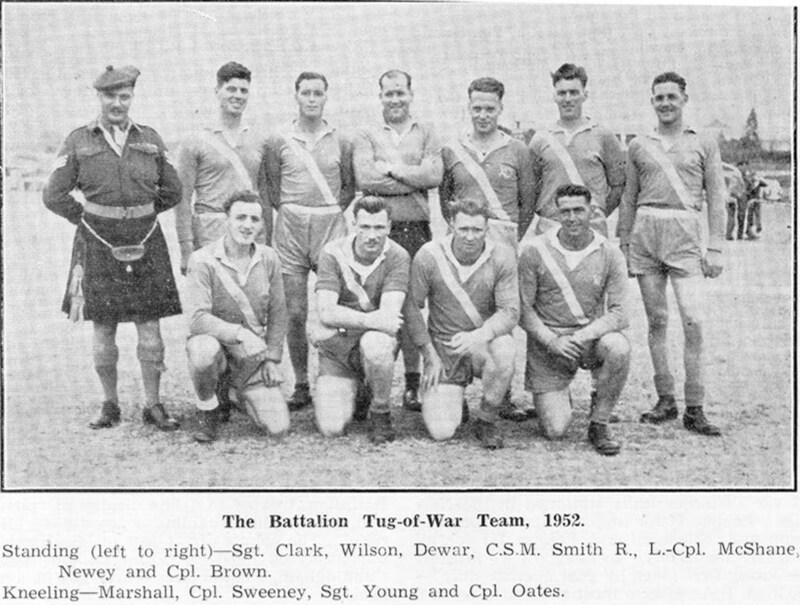 The casualties suffered by the Battalion during their eight months' campaign were: Officers - 6 killed and 10 wounded. 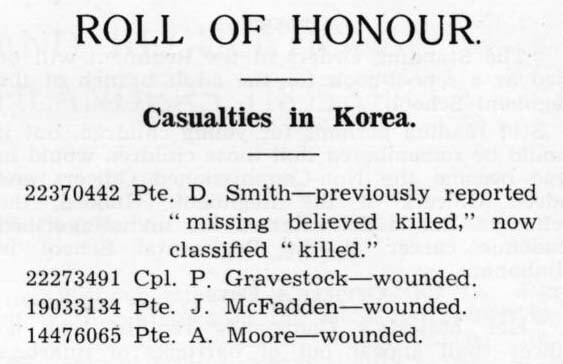 Other Ranks – 29 killed and 126 wounded. 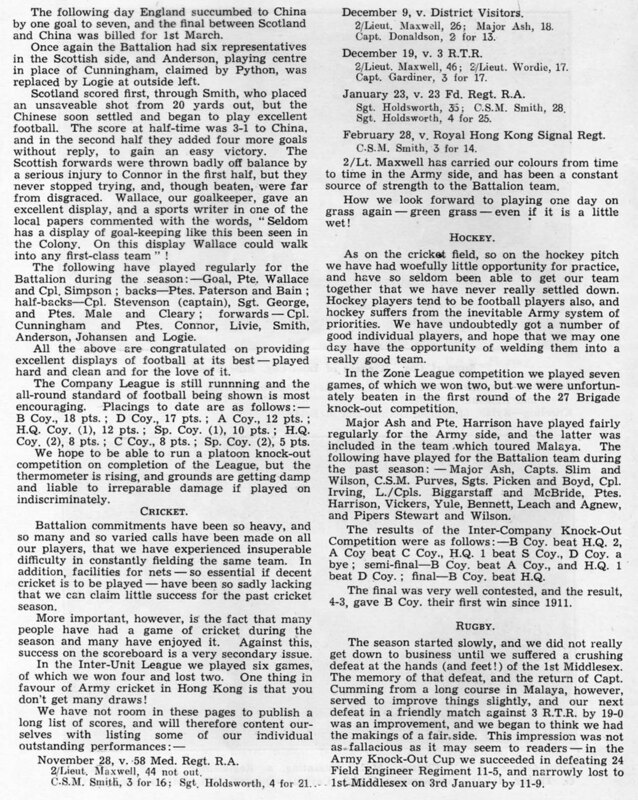 Honours and Awards were: V.C., 1; D.S.O., 1; Bar to M.C., 1; O.B.E., 2; M.B.E., 1; M.M., 2; Mentioned in Dispatches, 12. 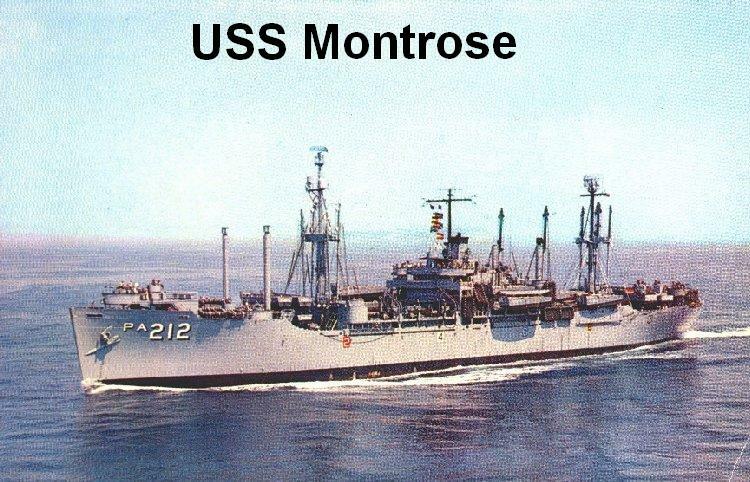 American Awards: Distinguished Service Cross, 1; Silver Star, 5; Bronze Star Medal, 9. 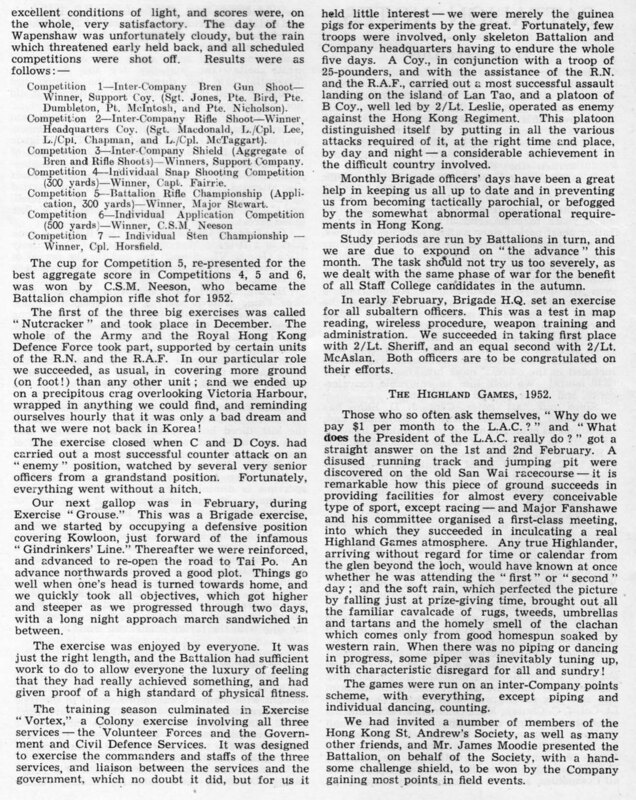 Life in Hong Kong was something of an anti-climax, and it was difficult to settle down to ordinary routine and training after eight months of very active service, and this no doubt is the reason why no records of any kind have been kept of the important events of the post-Korea period in Hong Kong. 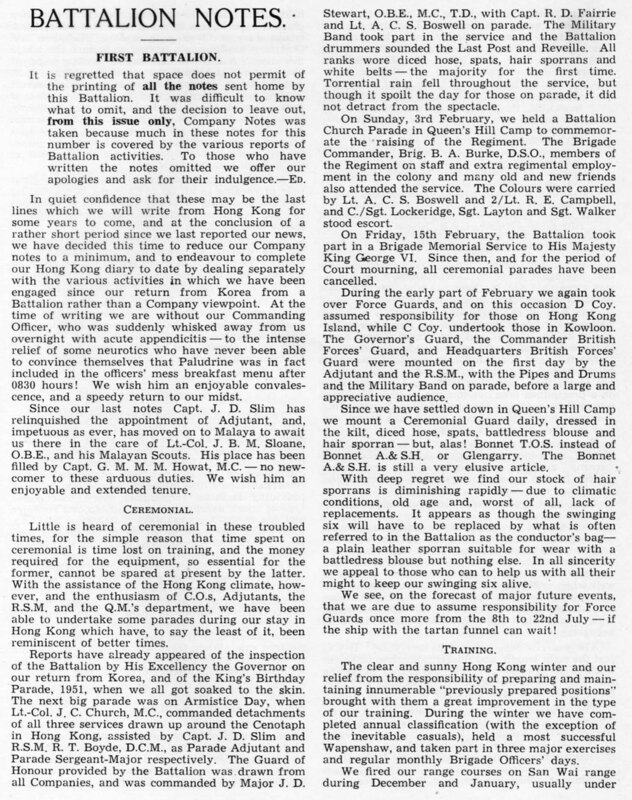 From the monthly reports by the Commanding Officer to the Colonel-in-Chief it appears that the two main events which followed the return of the Battalion were a parade for His Excellency The Governor and H.M. The King's Birthday Parade. 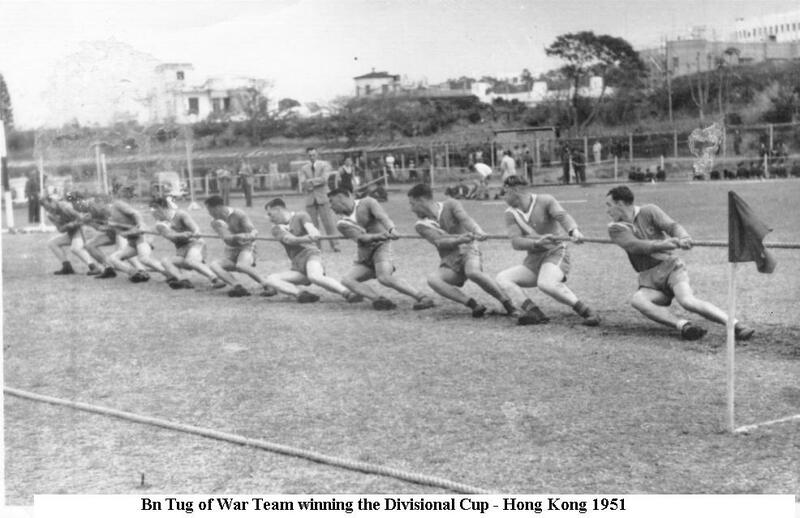 The former took place on Fanling Golf Course on 9th May, and at it His Excellency congratulated the Battalion on their record in Korea and welcomed all ranks back to Hong Kong. He afterwards lunched in the Officers' Mess. The King's Birthday Parade was, as usual, early in June. 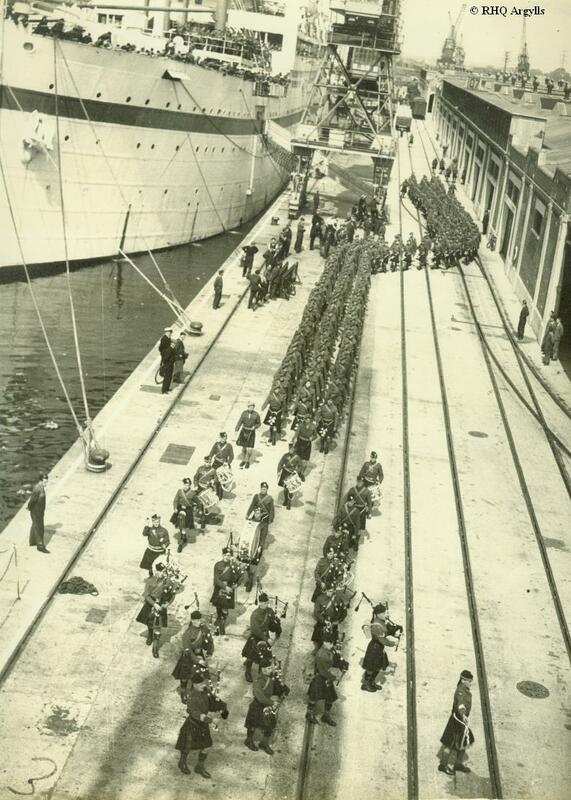 The whole garrison took part, together with a detachment of the Royal Navy. 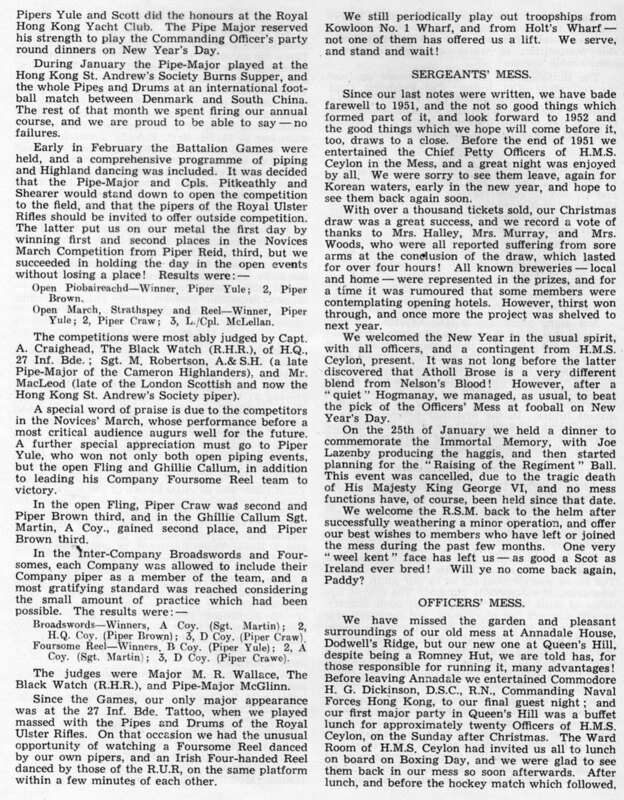 The programme, which consisted of a formal ceremonial parade followed by a march through Kowloon, was marred by torrential monsoon rain, which prevented Colours from being carried and bands from playing, but in spite of the conditions, large crowds, principally Chinese, gathered to watch the display. 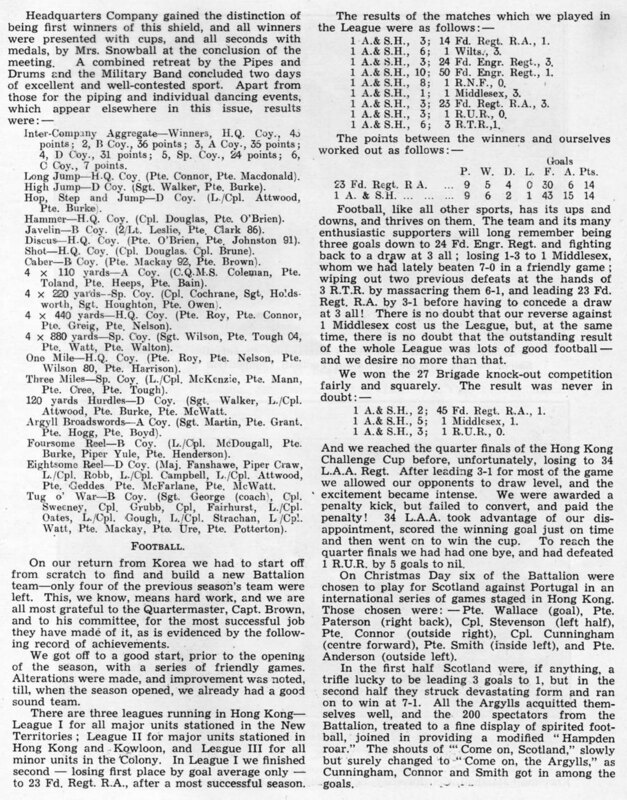 During a very wet summer there was little of interest, the chief occupations being, appropriately enough, swimming and water polo; in the latter the Battalion was runner-up in the Land Forces Competition. 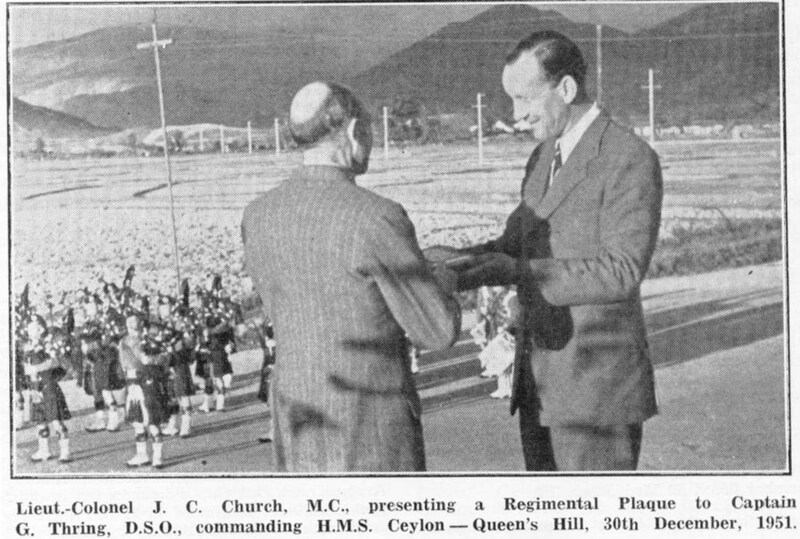 On 11th October Lt.-Colonel J. C. Church, M.C., arrived in Hong Kong and assumed command of the Battalion. 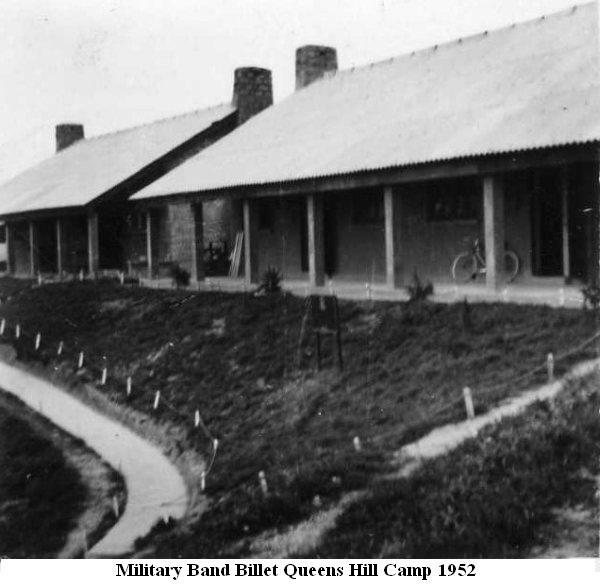 On the 25th the Battalion moved to a new camp site in the low foothills facing the frontier. 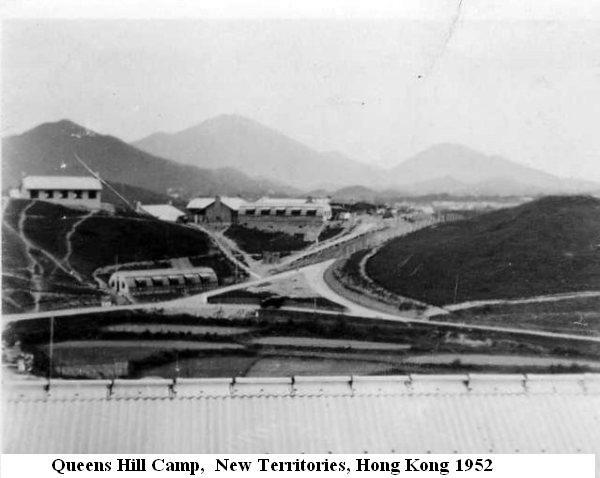 It was a new camp with excellent accommodation and was opposite the old camp site occupied by the 2nd Battalion over twenty years before. 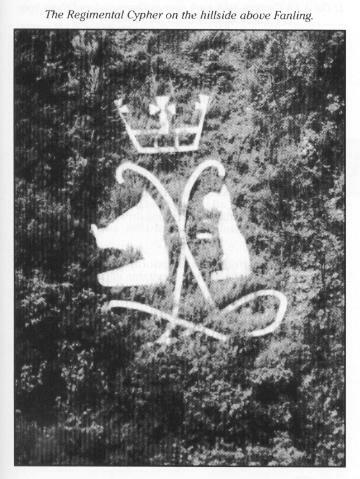 The regimental crest cut into the side of the hill was still visible. 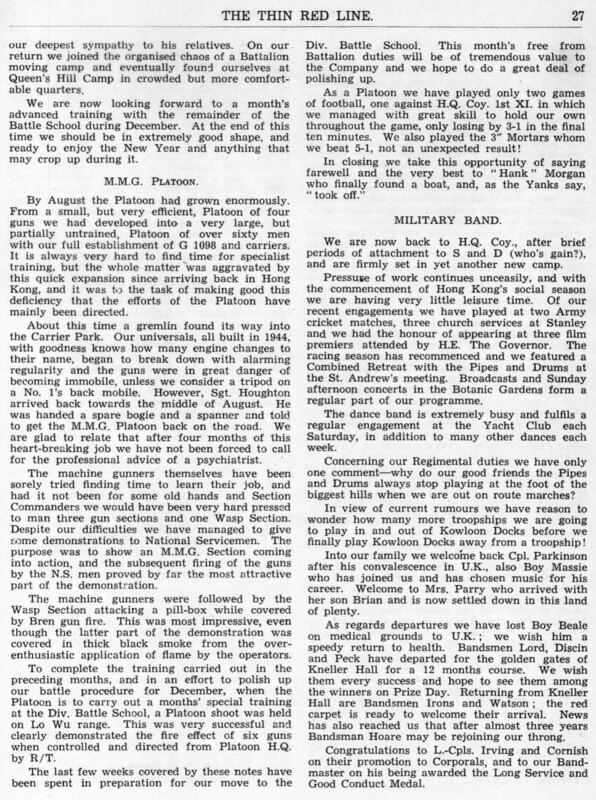 1952 was to be the last year of this foreign service tour and the Battalion settled down to wait, with what patience it could muster, for the day of embarkation to arrive. There was nothing new in the way of life, training exercises and plenty of opportunities for games of all kinds occupied its time. 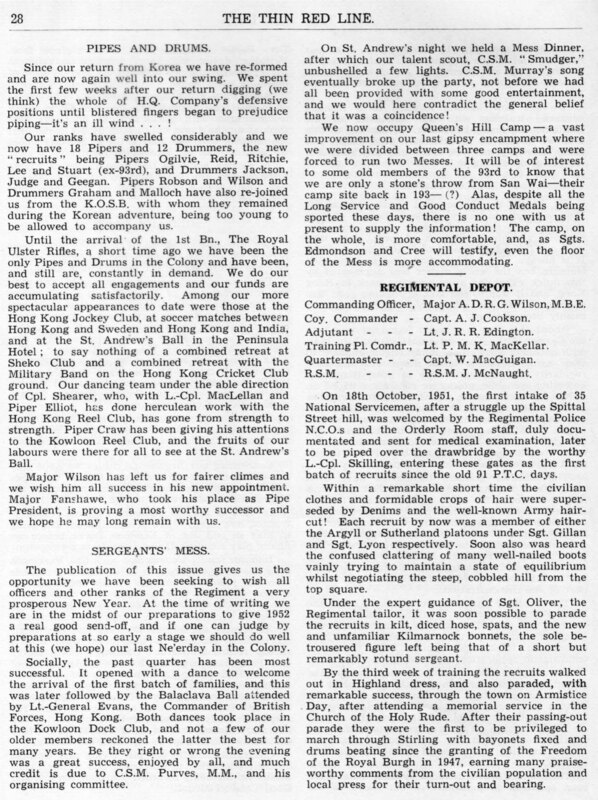 On 1st and 2nd February Highland Games were held, and among the guests were the Committee of the St. Andrew's Society of Hong Kong. 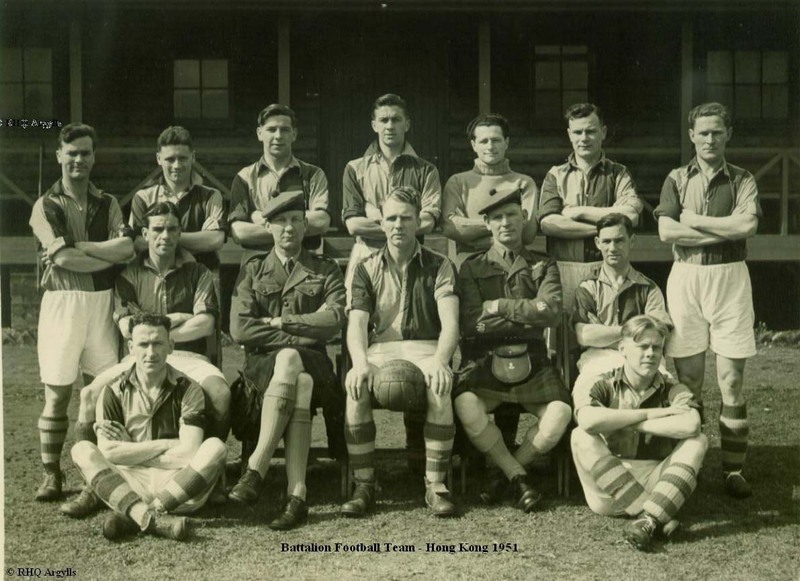 On 6th February Hong Kong received the very sad news of the sudden death of His Majesty King George VI. 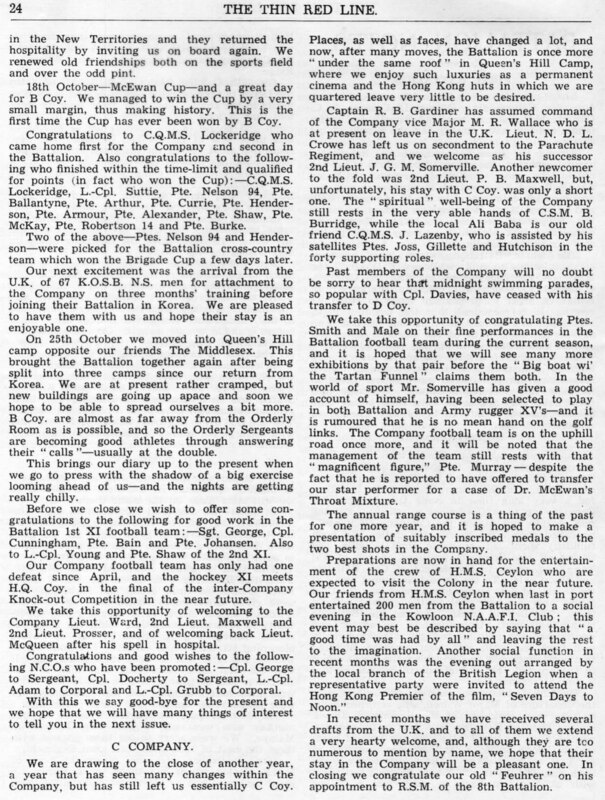 Lt.-Colonel Church sent a cable conveying to Her Majesty The Queen the deepest sympathy of all ranks of the 1st Battalion. On 15th February the Battalion took part in a Brigade memorial service at Fanling for His Late Majesty. 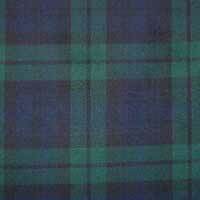 Lt.-General Sir Gordon MacMillan, K.C.B., C.B.E., D.S.O., M.C., in his capacity as G.O.C.-in-C. Scottish Command, marched in the funeral procession both in London and Windsor. The last few months in Hong Kong were marked by two important ceremonial occasions. On 27th April the Battalion provided a Guard of Honour at the inter-Services Anzac Day Parade. 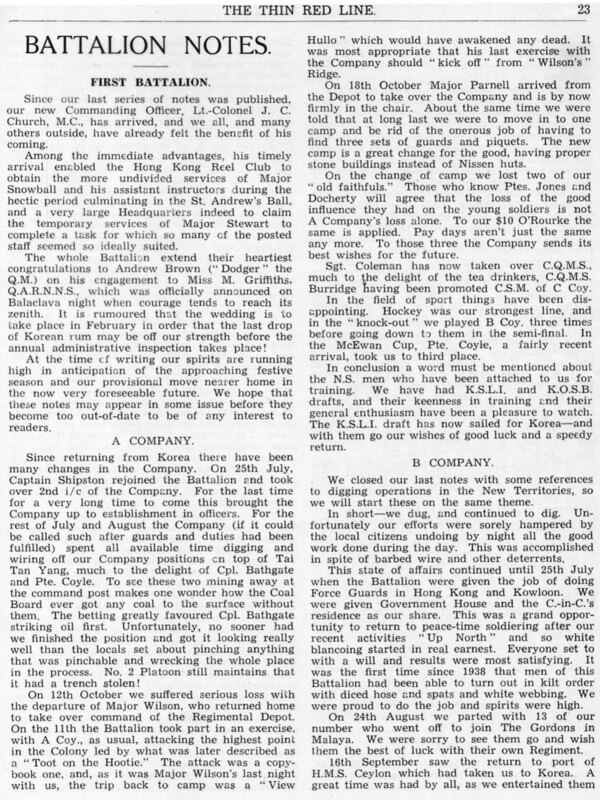 This honour was very much appreciated by the Battalion, as it gave an opportunity to pay homage to the forerunners of the gallant Australian and New Zealand friends of the Korean campaign. 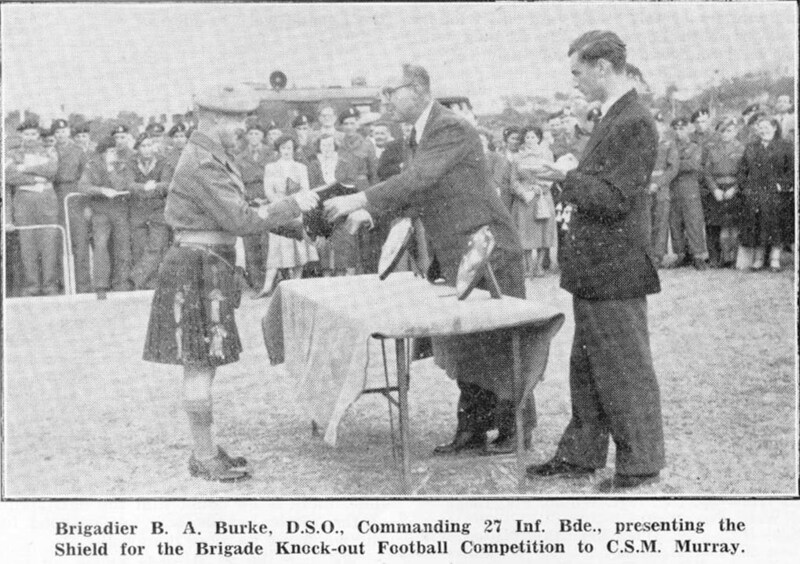 The Guard was commanded by Captain R. D. Fairrie. 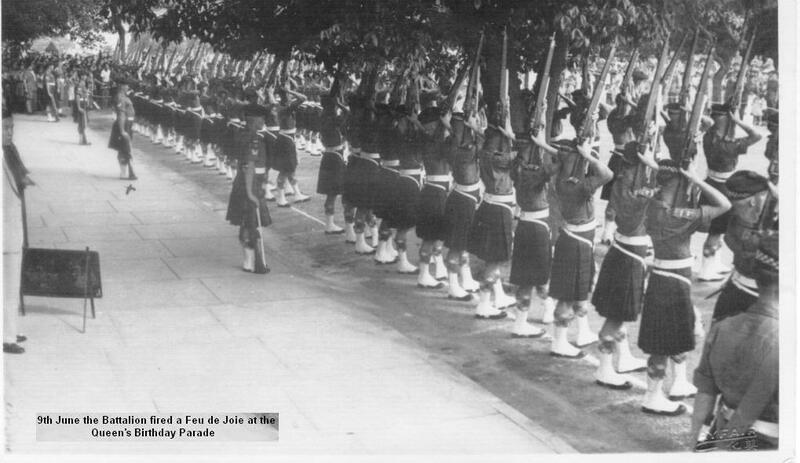 Again, on 9th June the Battalion fired a feu de joie at the Queen's Birthday Parade. 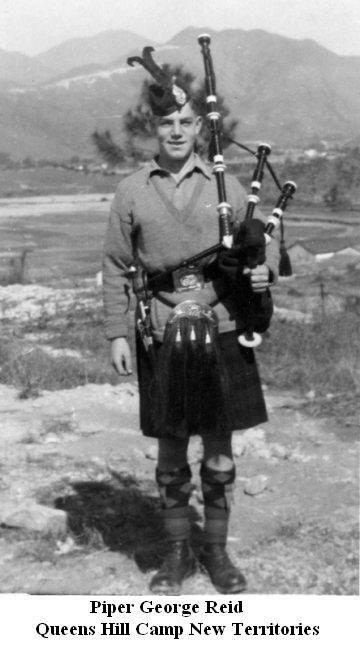 There had been little time for practice, but, on the day, the ceremony was performed in an almost perfect manner and received the unstinted praise of H.E. The Governor, the G.O.C. 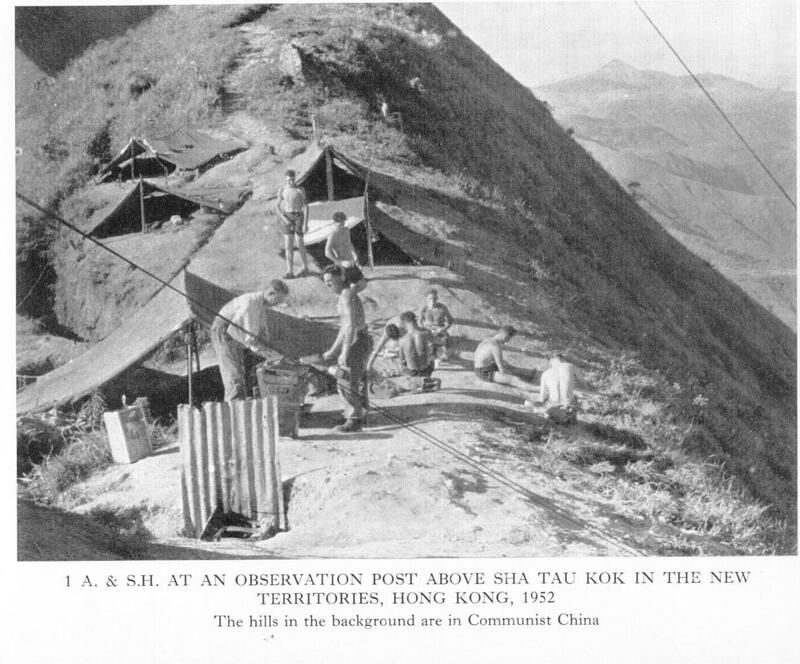 Hong Kong and the G.O.C. Land Forces. 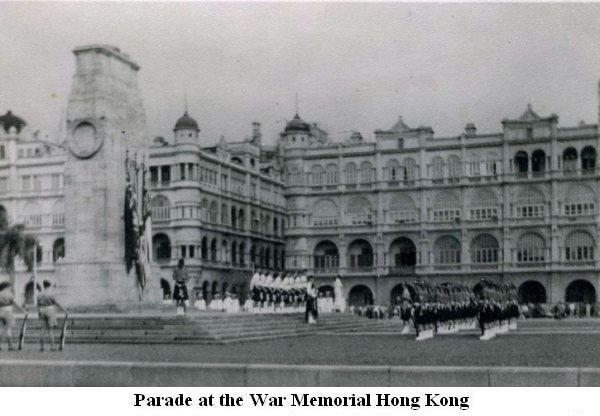 The march past too was a most inspiring sight, and the reception accorded to the Battalion by Europeans and Chinese, as it marched through Kowloon, was most touching. It was a great honour for the Battalion to play such a big part in the birthday celebrations of H.M. The Queen. 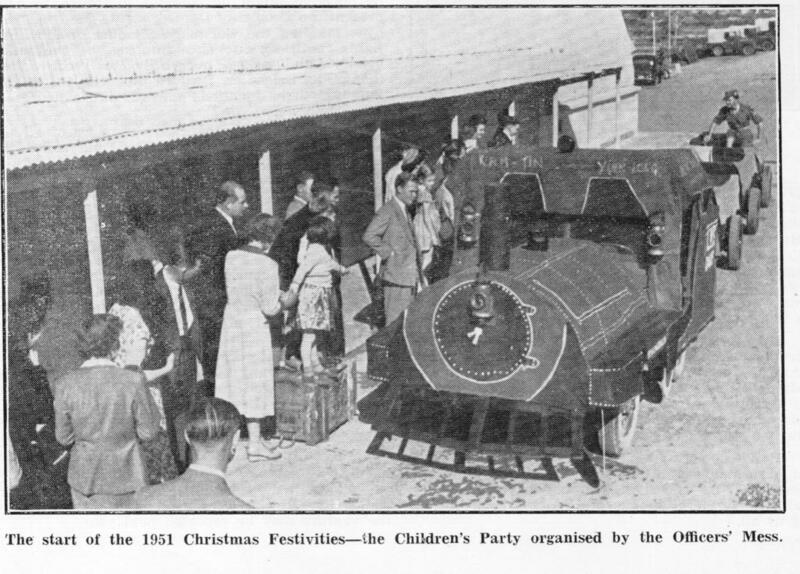 This was the last important event in Hong Kong. 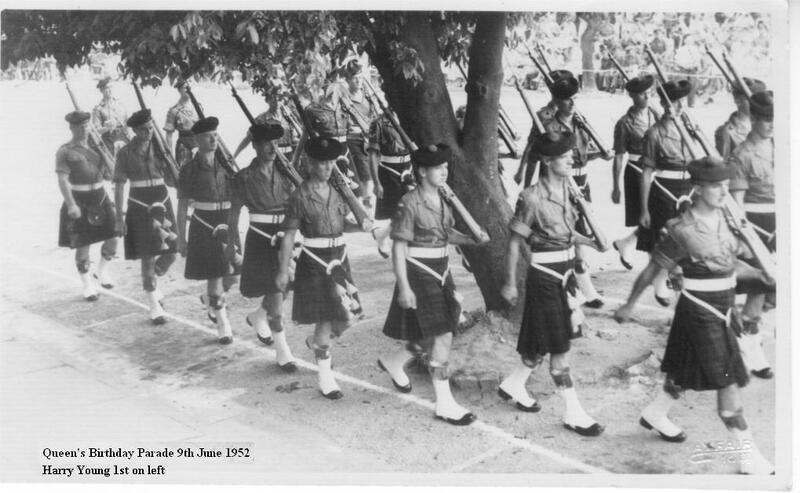 On 25th July an advance party of 2 officers and 30 other ranks sailed for home in H.M.T. Devonshire while the rest of the Battalion settled down to wait for 18th August, when its troopship, the H.M.T. Empire Halladale, was scheduled to sail for UK. If anyone has any pictures they would like to see on the site.